Book of the Week Book of the Week: A Pick by Christian Michael Filardo Christian Michael Filardo selects Election Eve by William Eggleston as Book of the Week. Election Eve. By William Eggleston. Steidl, 2017. 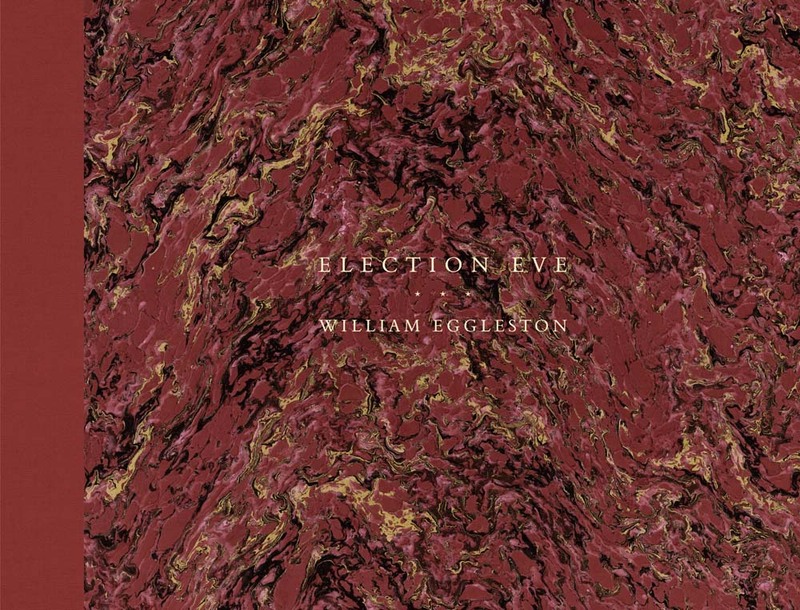 Christian Michael Filardo selects Election Eve, by William Eggleston, from Steidl, as Book of the Week. "Life used to be simple. Now it’s a little less simple and a lot more complicated. I started my viewing experience of Eggleston’s Election Eve like any logical person would, with four glasses of red wine. It’s easy to think that things could have been different after any election. However, the night before the results are announced is a night that one remembers. It’s like the day before a baby is born, or the day you forget to put the trash on the curb. You can accept it, or you can regret it. For the most part, I’ve always been a fan of William Eggleston. Election Eve is as much about the American as it is about Eggleston. Unlike many Americans, however, Eggleston likes to stop and smell the roses. He doesn’t drive directly to his destination, rather he stops and takes his time. Photographing the crippled trees, the dilapidated houses, the fish fries, and empty lots. America was different back then. Nowadays you can still go on for miles and not see a damn thing. However, you’re never too far away from a gas station or advertisement trying to warp your perception of reality. What does it really mean to elect a President of the United States of America? Do the trees notice the difference? Towards the end of this monograph, Eggleston photographs a number of churches that I don’t think he’d step foot in. I don’t perceive him to be a man of the lord. However, the picture Eggleston takes of a basketball hoop in this book feels as close to god as any image he’s made.